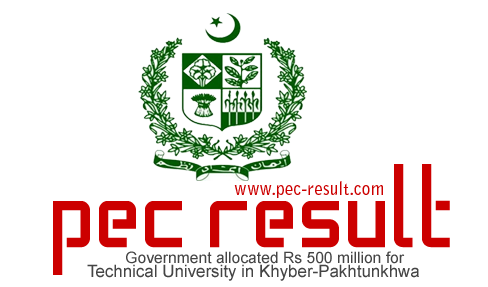 On Monday, Chief Secretary Khyber-Pakhtunkhwa (K-P) announced that the government had decided to found a university for technical education in Khyber-Pakhtunkhwa. For this purpose government had allotted Rs 500 million to set up the university. This was announced by the chief secretary Arbab while he was chairing a heavy conference as mentioned in the official pamphlet. He briefed as the formation of a technical university will help the students of Khyber-Pakhtunkhwa in terms of technical education, also the experts could get benefit of it. He also said that certain donating firms were showing their interests to aid this programme. The government designated Rs 500 in this Annual Development Programme. It was informed by the provincial director general of technical education and manpower, Professor Shakil Ahmad that the decision of the formation of the technical university was taken by last government and paper work started very earlier but the construction could not begin at that moment. He also briefed that the present government take this project on serious note and allocate money for it. He said that this university will be formed by the technical support and financial aids by foreign agencies, in this way it will be assured to give it international standard to provide quality technical education. Arbab also said that the governor of Khyber-Pakhtunkhwa gave his resources to the law department, although the government already approved National Qualification Framework for this programme. The chief secretary Arbab came to know about that a German company GIZ would aid RS 46 million for the computers, generators and photocopiers for this university, meanwhile a Japanese company JICA had granted Rs 205 million for the machinery and other equipments and essentials for this technical university, which will be very beneficial for the university to establish properly.